Celebrating Sushi King’s 21st Anniversary with a performance using kompang and Japanese taiko drums. 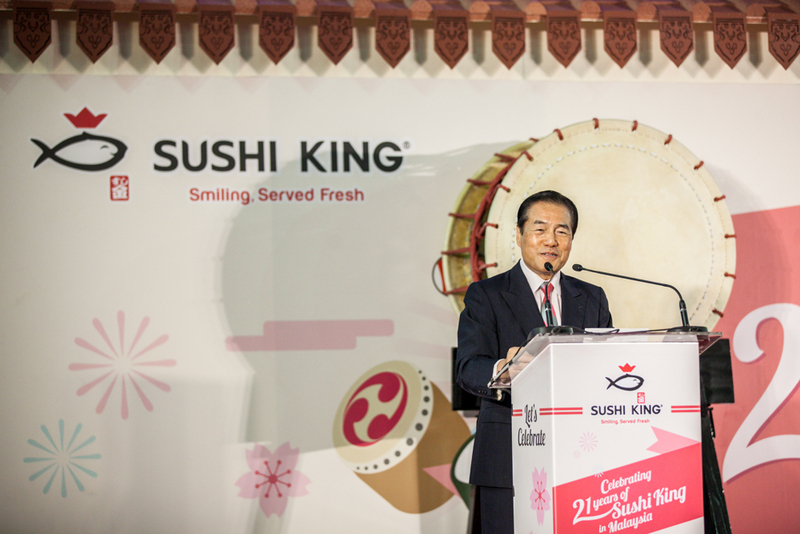 Speech given by the founder of Sushi King, Tan Sri Dato Seri’ (Dr.) Fumihiko Konishi. 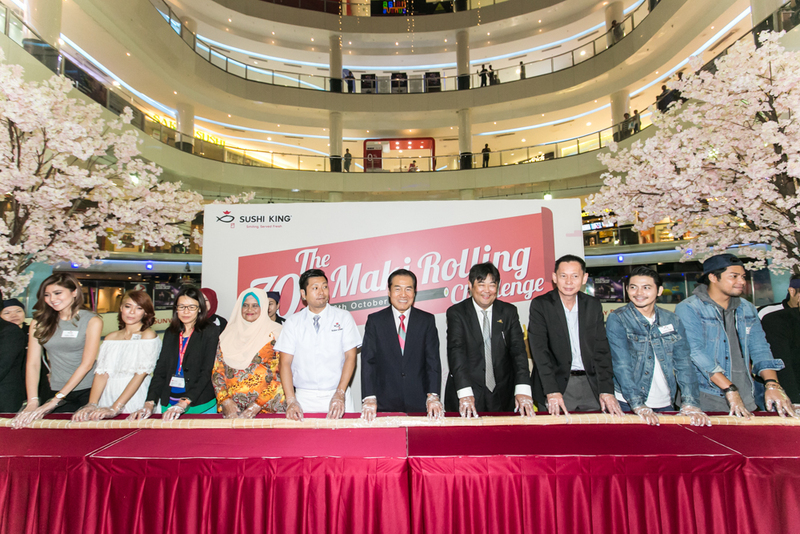 The Longest Sushi Maki ever made in Malaysia is 70ft by Sushi King! 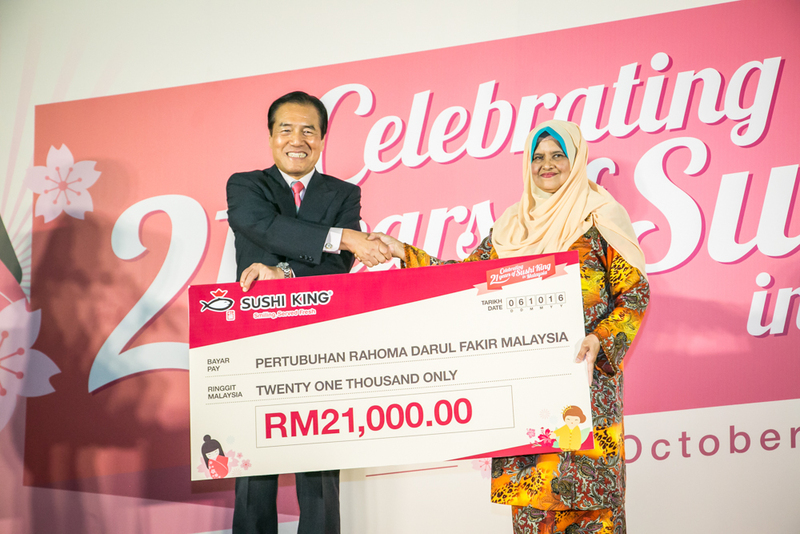 Giving back to society, RM21,000 is donated to the Pertubuhan Rahoma Darul Fakir Malaysia. 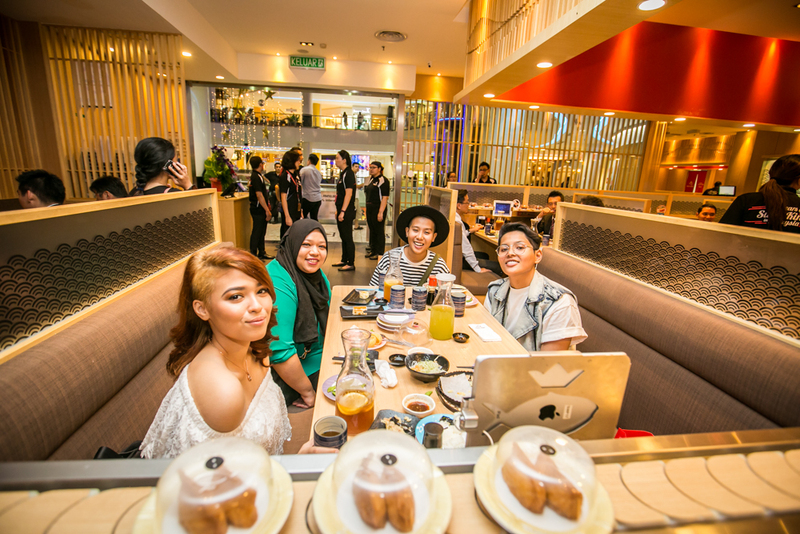 Local celebrity, Cha Cha Maembong was here to celebrate Sushi King’s 21st Anniversary with us! And these guys too, Izzue Islam, Kamal Adli, and Ammar Titan (from left to right). Sushi King chain of restaurants serves quality sushi and other Japanese cuisine at affordable prices in a warm and friendly environment. 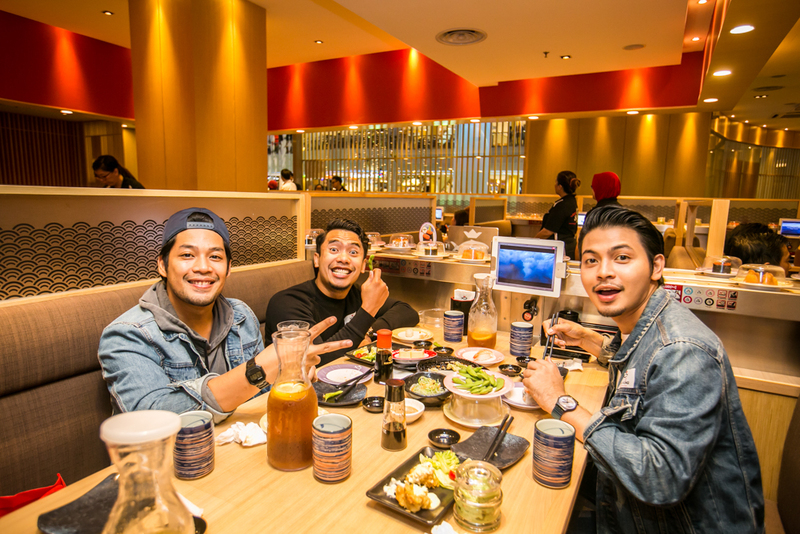 What sets Sushi King apart is the personal touch of serving freshly made sushi on the kaiten for customers to pick up and enjoy. © 2019 Sushi King. All Right Reserved.